Spectacular photo poster with fantastic light. 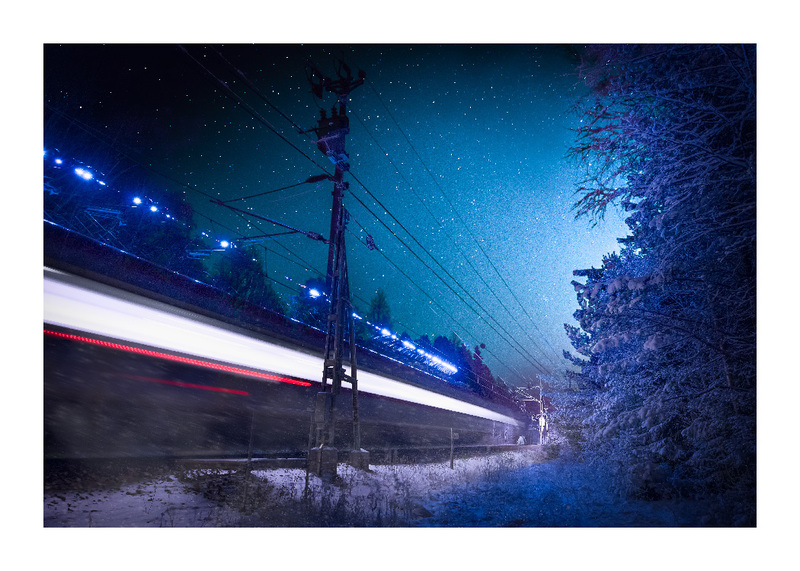 The shutter speed has been used to capture both the astonishing night sky and the speed of the train. You can almost hear the crackle from the overhead contact line. Winter cold and laser warm at the same time. The train poster is equally exciting for the little train driver living in the children’s room as for his or her parents. Frame it as photo art or hang the poster as it is when decorating the children’s room.